Ketchikan: A snapshot of Ketchikan in 1910; Local pamphlet was developed to boost mining industry By DAVE KIFFER - We often forget that Ketchikan was, in its infancy, a mining town. When more than 100 residents signed the town Articles of Incorporation in 1900, nearly all of them had some connection to the mining industry. The hills around Ketchikan were riddled with potential mine sites as the prospective "mother lode" finders hoped to discover gold the area's seeming endless quartz veins. Unfortunately the Ketchikan geology did not contain vast gold resources like Juneau or Fairbanks or Nome. Other industries, primarily salmon canning and timber and eventually tourism would have to rise to keep Ketchikan from turning into another Alaskan ghost town. Mining history is not something that we trumpet today. Ketchikan is known for its Native culture and its salmon and for the fact that more than one million cruise passengers visit each summer. Back in 1910, there were indeed tourists and salmon and Native culture, but the primary economic engine of Ketchikan was still the mining industry, although it was on the down swing and that had local officials concerned. A significant drop in copper prices in 1907 had shut down many of the largest mines in the area, especially the bigger ones on Prince of Wales for which Ketchikan was the primary supplier. By 1910, the copper industry hadn't come back and that inspired the powers that be to try to prime the pump a little. In much the same way that the closure of the Ketchikan Pulp Mill in 1997 would inspire efforts to "promote" the timber industry to outside interests, in 1910 there was an effort to do the same with mining. A pamphlet was produced called "Ketchikan: First City in Alaska." Ostensibly it was to promote Ketchikan, but it also focused on mining in the area, noting the big mines and heralding Southern Southeast Alaska as one of the great untapped mining areas in the Territory. The pamphlet also focused on the amenities Ketchikan offered and why it would make a good place to come to live. It was community boosterism at it's finest, replete with a little over-the-top verbiage. "At the foot of a magnificent mountain, whose snowy brow seems ever raised to kiss the sky, stands Ketchikan, the First City in Alaska," the pamphlet begins. "Down this mountain pours a stream of sparkling water that is piped to every home and business house, furnishing a supply cool almost to iciness the year round." The pamphlet goes on to note that the water drives the ""water wheels" of industry and that Ketchikan Creek is "populated to congestion" with salmon and trout. 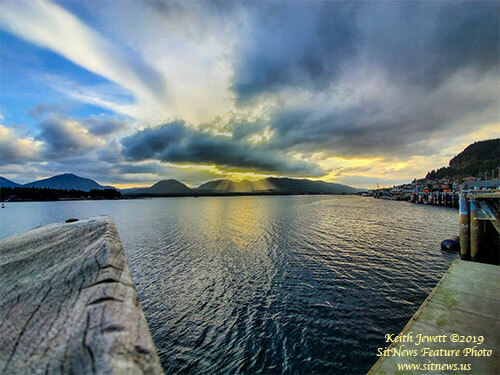 "Ketchikan is rapidly becoming known as a tourists' paradise, for the scenery here is more magnificent than elsewhere," the pamphlet goes on. "The hunter and the fisher are learning that our hills and streams are the natural homes for deer, bear, mountain goat, wild fowl, fish, clams and crabs." But then the pamphlet abruptly shifts to its main concern. "But it is not to the pleasure-seeker alone that Ketchikan offers the greatest inducements," it continues. "To the mining man we offer opportunities that few countries possess. The mines of this district are foremost in offering treasures to those who have the foresight to secure them, and the undiscovered ore deposits are scattered all through the hillsides, awaiting the prospector. Much gold and copper has been discovered but it is a handful compared to the riches that are untouched." The pamphlet also goes on the promote the nascent timber industry as well, noting that "to the paper manufacturer the Ketchikan District offers more natural resources that New York or Wisconsin ever did." There is also a nod to the fishing industry, particularly the then strong halibut fishery noting that "thousands of tons of fish are taken each year" from the area. And if you just want to live in paradise, just come on up. "The home seeker never had a more promising spot upon which to build a home and carve out a happy future for himself and family." The pamphlet then goes back into Ketchikan's early history, some three decades before. We are reminded that first Anglos to come here in 1886 were looking for fishing industry opportunities but they noticed "some very fine gold bearing rock" and "soon the miners began pouring in." Considering the Ketchikan population was barely in the hundreds in the 1890s, the miners must have been "pouring in" somewhat slowly, but the 1898 Klondike Gold Rush did bring many more people to the Territory at the turn of the century. With many of those prospectors being unsuccessful in the Klondike, they fanned out to other parts of the Territory looking for gold. Quite a few ended up in Ketchikan. By the time the pamphlet was produced a decade after the Gold Rush Ketchikan's year round population was 1,500 but "during mining activities that number is increased by several hundred." Fish Factor: Most all salmon permits up in value; Value of IFQs still in slump By LAINE WELCH - Nearly all Alaska salmon permits have gone up in value since last fall and buying/selling/trading action is brisk. The salmon permit interest is fueled by a forecast this year of over 213 million fish, an 85 percent increase over 2018. Also, salmon prices are expected to be higher. For the bellwether drift permit at Bristol Bay, the value has increased from around $165,000 and sales are now being made in the low to mid $170,000 range. At Cook Inlet, where salmon catches have been dismal for the drift fishery, permit values bottomed out at $28,000 and have climbed a bit to $38,000. At the salmon fishery’s peak in the late 1980s and early 1990s, Cook Inlet drift permits were traded at over $240,000, Bowen said. “When Alaska’s salmon industry crashed in the early 1990s due to the flood of farmed fish, those permits dropped to under $10,000 and since then have been all over the map,” he added. The drift fleet at Prince William Sound also had one of its worst years last summer and that permit is one of the few that has gone down in value. “They were over $150,000 and the last one we sold was at $145,000,” Bowen said. For Prince William Sound seiners, who are expecting a good pink salmon year, the permit value is listed at $170,000, a $5,000 increase from last fall. At Kodiak, seine permits have held steady for several years in the $28,000 range. At Chignik, where seiners experienced the worst fishery ever last year catching just 128 sockeyes, there is little to no interest in permits. Alaska: UFA Announces At-Large Board Members and Executive Committee - United Fishermen of Alaska (UFA) announced the re-election of Bruce Schactler and the election of Tyson Fick, Melanie Brown, and Cynthia Wallesz to the UFA board of directors as at-large members. UFA’s individual and lifetime members elect four at-large directors every two years to represent the more than 450 individual, lifetime, and crew members on the organization’s board. The at-large directors will serve two-year terms beginning April 15, 2019 on the UFA Board of Directors. Also taking effect on April 15 is the return of Duncan Fields to the UFA Executive Committee as Administrative Chair. Tyson Fick and Cynthia Walleszreturn to the board, now as elected at-large members. Fick represented the Alaska Bering Sea Crabbers group from 2017 to 2018 and Wallesz represented United Southeast Alaska Gillnetters on the UFA board from 2015 to 2018. Tyson Fick previously worked as communications director at the Alaska Seafood Marketing Institute as well as executive director at ABSC. Based in Juneau, he now fishes Southeast salmon gillnet, salmon handtroll, and Dungeness crab, and is a co-owner of Taku River Reds. 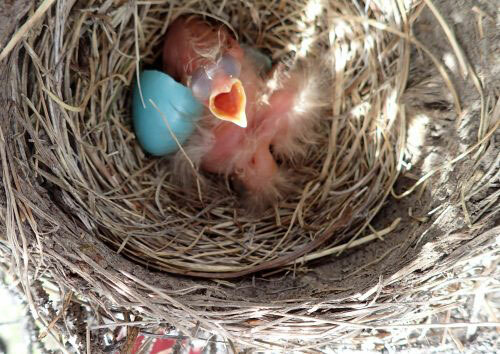 A newly hatched robin begs for food. Researchers have found that many birds, including young chicks, have highly sensitive noses. Alaska: Birds large and small sniff their way through life By NED ROZELL - In the 1820s, painter and naturalist John James Audubon designed an experiment to test if birds had a sense of smell. He dragged a rotten hog carcass into a field, then piled brush on top of it. After none of the local turkey vultures appeared, Audubon concluded that vultures hunted using their eyes alone. Gabrielle Nevitt has for years pondered the smelling abilities of animals. She has studied salmon finding their way back to their birth streams and “tube-nosed” ocean birds, like albatrosses and shearwaters. The researcher from the University of California, Davis started a recent lecture in Fairbanks by pointing out how Audubon erred in his pig-and-vulture experiment. Turkey vultures are most sensitive to a gas called ethanethiol, the rotten-egg scent that wafts from a carcass in the first 24 hours after something dies. Audubon, it seems, employed a dead pig that was quite far along in the decomposition process, emitting compounds even turkey vultures found offensive. Nevitt said she still notices some textbook references to birds’ inability to smell, though scientists have proven the opposite many times. In Nevitt’s study of the “odor landscape” of the great southern ocean surrounding Antarctica, she and her colleagues examined how albatrosses could find one of their favorite meals, dead squid floating on the surface. “How do they find prey in a featureless ocean?” she said. Nevitt discovered that the large seabirds could smell a few molecules of squid from more than 15 miles away. The birds zig-zag up a scent trail to reach their target, much like a Labrador retriever zeroes in on a grouse. A student who worked with Nevitt also discovered a few years ago that seabirds’ attraction to the sulfurous smell of phytoplankton may be a reason people find dead birds with bellies full of plastic. 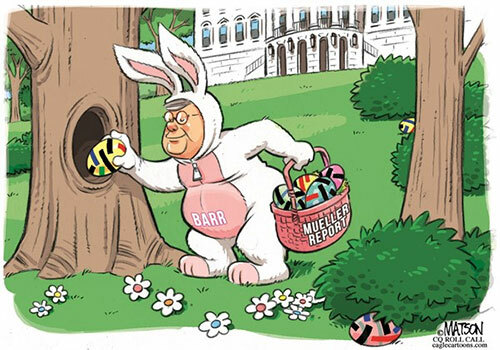 DANNY TYREE: Would You Like to Get More Out of Easter? If you're serious about being a Christian, Easter (like the other 364 days of the year) can be a very demanding time. It's more than just digging out your childhood "Here Comes Peter Cottontail" record, shopping for a new spring wardrobe or determining whether "Easter Parade" (1948, Fred Astaire and Judy Garland) is streaming on Netflix. You may find your convictions put to the test. What if a semi-religious buddy keeps badgering you to "phone in sick" and skip the sunrise service (and maybe next week's service and...)? What if your college freshman confides that an atheistic professor is seriously undermining their long-held beliefs? What if an agnostic co-worker sincerely asks for your input on the meaning and purpose of life? JOE GUZZARDI: Earth Day 2019: Since Moon Landing, Global Population has Doubled - Fifty years ago, in 1969 when astronaut Neil Armstrong became the first person to walk on the moon, the world's population was 3.6 billion; in 2019, it's 7.7 billion. A half a century ago, the U.S. population stood at 208 million; today, it's 329 million and growing at the unsustainable rate of one net person every 17 seconds, a total calculated by the sum of births minus deaths, plus net migration. April 22, 2019, marks the 49th anniversary and 50th observance of Earth Day intended to raise awareness and appreciation for the earth's natural environment. A massive oil spill off the Santa Barbara, California, coast that generated a slick large enough to encompass Chicago provided the catalyst for the first-ever Earth Day, celebrated in 1970, and currently recognized in 193 countries. At the time, there was an understanding of the impacts of polluting and overpopulating our planet. While the former continues to be the driving element for environmentalists and climate change activists, such is not the case for overpopulation. But the challenges to achieve U.S. population stabilization remain, and they are daunting, even if unmentionable and not addressed. An Opportunity For Nuclear energy in Alaska By U.S. Senator Lisa Murkowski - The United States has long been a leader in the peaceful use of nuclear energy, and within a few years Alaska could be on the leading edge of this clean, reliable and affordable technology. The next generation of nuclear systems - known as advanced reactors - could help relieve crippling energy prices in isolated villages and provide baseload power for an array of other applications. What’s more, the technology is safer than ever before. House Budget By Rep. Dan Ortiz - Last week, the Alaska House of Representatives passed a budget for the State of Alaska. As a member of the Finance Committee and the Chair of the Education & Early Development, Fish & Game, and Environmental Conservation Department Finance Subcommittees, I am a part of the budget process from the beginning until the end. For the past month, we have dug into each department budget, asking critical questions, and analyzing impacts of potential cuts. The budget was an intense collaborative effort; we took amendments at all levels – in the subcommittees, in the full House Finance committee, and on the House Floor. Update, Don’t Eliminate, Alaska’s Ocean Ranger Program By Rep. Zack Fields - Carnival Corporation was just caught dumping tens of thousands of gallons of liquid waste, as well as plastic bags and other solid waste, in Glacier Bay National Park’s pristine waters. An investigation into these crimes found that Carnival implemented a “brazen and secret” plan to scrub environmental records and hide their violations. It is evident that this is the worst possible time to repeal the Ocean Ranger Program, which provides independent oversight of cruise ships. Our state’s pristine habitat is one of the key reasons that people choose to live in and visit Alaska. It’s a critical part of our economy, our history, and our culture. Ranger Program By Robert K. Rice - Dunleavy is proposing to end the "Ranger Program" that puts marine engineers on the cruise ships to monitor their waste water discharges. Equality: Net tax of zero By David G Hanger - I have to say this offer of pardons even before a crime is committed presents some interesting possibilities that I urge you to consider. Offering a pardon to your new head of Homeland Security for all crimes he may commit in the course of beating the living crap out of Hispanics from Central America, warehousing children in cages in the absence of their parents, and hosing carloads of Mexican policemen ala SICARIO 2, is the mark of genius; indeed a form of genius I doubt anyone else will ever even think to match.